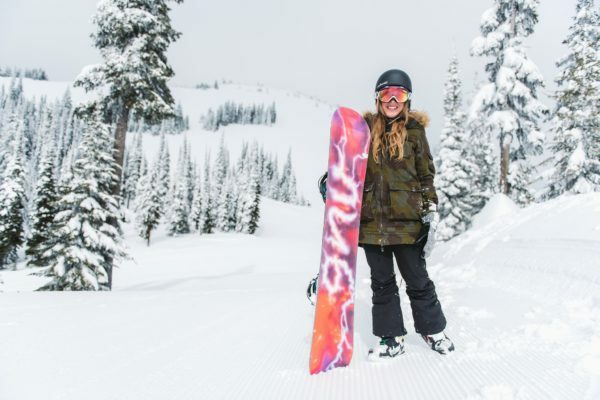 With 4,270 acres of uncrowded terrain covering three mountains, Sun Peaks benefits from untouched slopes, no wait time on lifts and that magical feeling of "owning the mountain”. 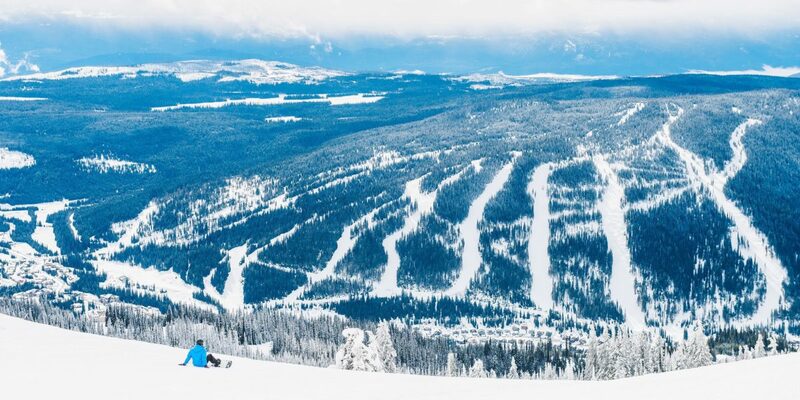 Black runs, blue runs, beer runs - there's something for everyone on Sun Peaks’ powdery peaks. 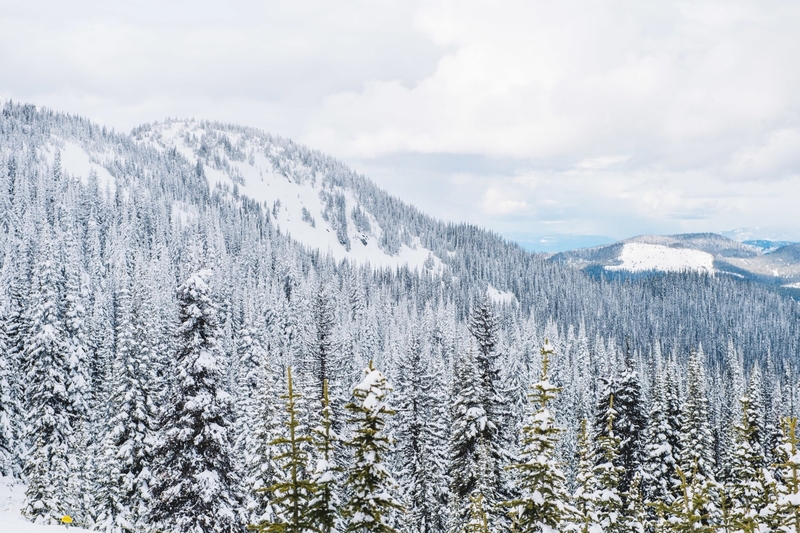 If you'd rather make 'pizza turns' on a gentle run, take your very first lesson, rave the day away or shred some gnarly powder, Sun peaks has it all... Good luck finding a finer ski resort anywhere in Canada! Don't be shy... You've just gotta try skiing, boarding (or both) at Snowbombing. The instructors are handsome, debonair and friendly and there'll be plenty of other newbies to fall around with. There are also classes for intermediate skiers, perfect if you want to improve your technique or just fly around the mountain with some people of a similar standard. Sorted. 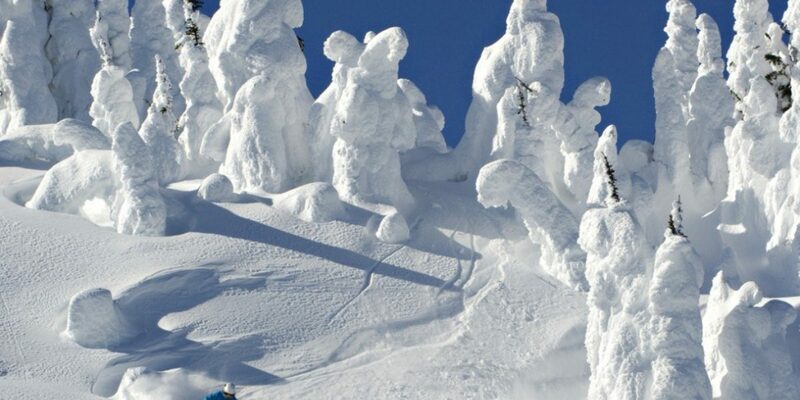 Prices from $52.00 for 2 x 2 hours ski lessons and snowboard lessons. STAY IN THE LOOP FOR SBC19! Whether you're eager to catch the fresh morning powder or merely fancy relaxing on a deck chair admiring the mountainous backdrop, there’s something up there to suit all tastes. We'll be back soon with news for Year 3, make sure you sign up to stay in the loop! If you don't own your own gear, or can't face lugging it across Canada, don't panic... We've got kit hire for all abilities - Standard and High Performance starting from 1 day hire through to a full weekend, we've got you covered! 4,270 acres of skiable terrain (2nd largest in Canada) / 10% Green (novice) / 58% Blue (intermediate) / 32% Black (expert) / 17km of cross country backcountry trails / 37.8Km Cross country / 6metres Annual powder! / 16 gladed (wooded trails) / 2000 hours of sunshine per year! Make it a leg day with top-to-bottom runs on Sun Peaks’ original and highest mountain. Epic double black diamonds Chief, Expo and Challenger run super steep lines to the base of the Burfield Chairlift. 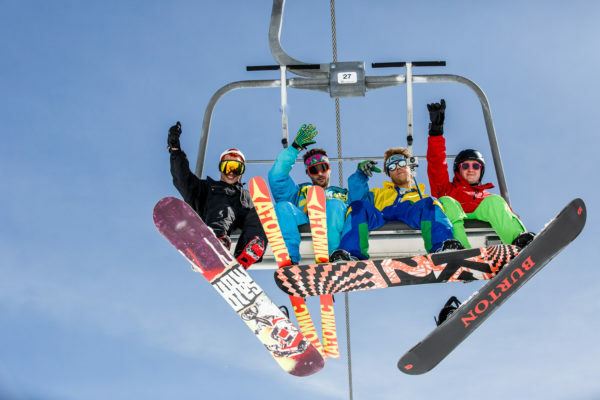 Be sure to grab your best pals for the return to the top, as the Burfield claims the title of longest fixed-grip chairlift in the world at 9,510ft long—giving you plenty of time to suss out your après plans. Famous in the speed skiing world, it’s no wonder “wall” is in the name—offering up a 55 degree pitch when groomed for the FIS World Cup Speed Skiing event. When it’s not groomed, prepare yourself for some knee-knocking bumps and rest mid-run for a breathtaking view. We’ve found the location for your next edit! 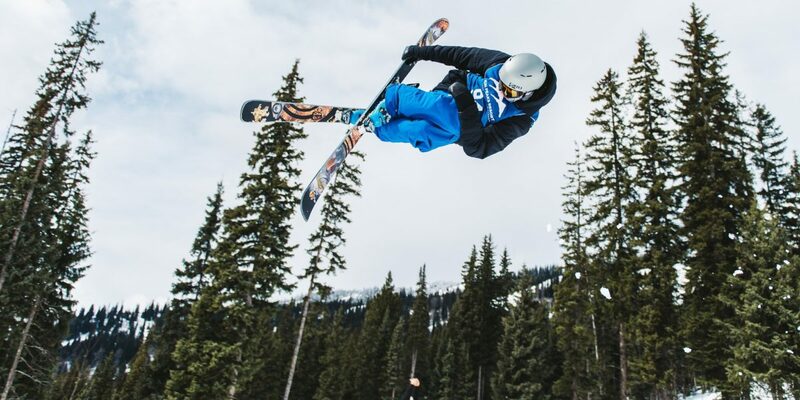 Sun Peaks is home to the Rockstar Terrain Park, a giant 10 acre top-to-bottom park bursting with features and groomed to perfection. With such a variety of jumps, rails, boxes, and fun urban hits, you’re liable to go viral. Don't be shy... You've just gotta try skiing, boarding (or both) at Snowbombing. The instructors are handsome, debonair and friendly and there'll be plenty of other newbies to fall around with. There are also classes for intermediate skiers, perfect if you want to improve your technique or just fly around the mountain with some people of a similar standard. Sorted.